Are you interested in watching the England/Belgium World Cup game AND eating vegan street food at the same time? Yes? Well, I have some good news for you! Hackney Downs Studios is the location where I host Hackney Downs Vegan Market and London Vegan Beer Fest. Each year, the Studios host a massive open day event and this year’s celebration is coming up on Thursday June 28, 2018. 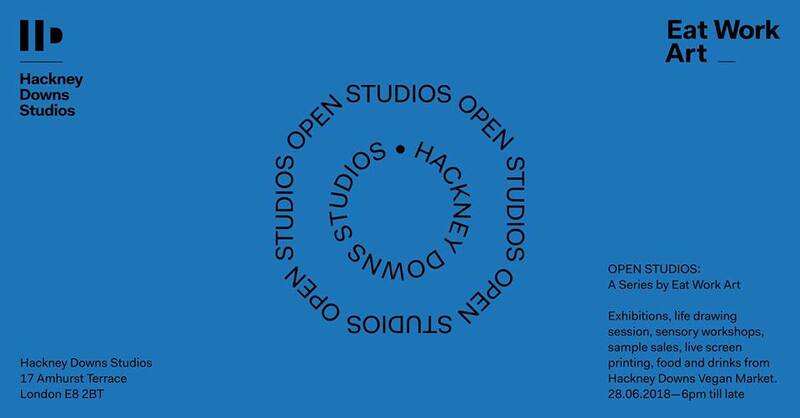 But what is so special about this Open Studios event and why should you care? PLUS, the Studios will be screening the England vs Belgium World Cup game on screens around the site so you don’t need to miss out on your sports if you are that way inclined. Arancini Brothers – risotto balls, burgers, and more! This is a huge party that comes around only once a year. It has it all. Food. Drinks. Music. Football. BBQ. You can RSVP to the Facebook event here (where you can also see the itinerary) and claim your FREE TICKET by clicking here. Yes, that’s right. You can get a free ticket but you need to book it now.